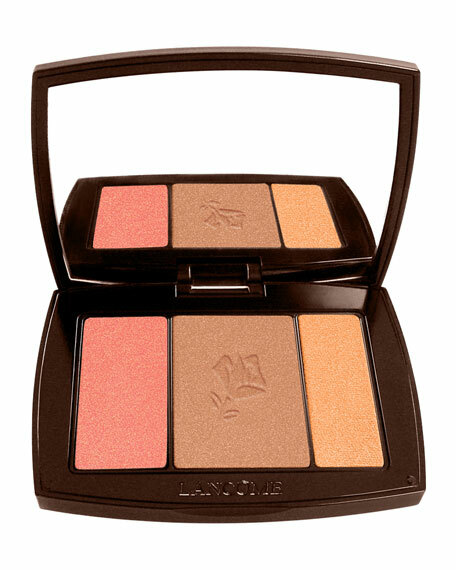 Artistry Made Easy: Star Bronzer Palette offers 3 simple steps to tan, blush and highlight your compexion. For any skintone, any face shape - your tan is magnified. The 3 powder formulas are silky for a smooth and even application. They blend seamlessly, and build from sheer to intense coverage. Add instant color, shimmer and healthy glow to cheeks and temples. Apply Star Bronzer Palette using the educational leaflet included or by clicking on the Step by Step link below for the best blush result. Cheek & Contour Brush #25 is specially designed as the perfect tool to apply each step with foolproof precision. Use flat circular tip for the contour shade, flat oval side for blush color, and oval tip for highlighter color. For in-store inquiries, use sku #181364.